Since launching in 2017, the project has undergone a few changes to the master-plan in order to maximize views, while creating a more intimate building for residents. However, the same amenities have been maintained throughout the two residences. With such a prominent location along the Gananoque waterfront, Stone & South’s exterior was designed with its historic and natural surroundings in mind. The final plan consists of two six-storey mid-rise buildings characterized by natural stone cladding, floor-to-ceiling windows and grand balconies to take in the views. The residences are nestled between the renowned Playhouse Theatre and the historic Gananoque Inn, just steps away from the tree-lined neighbourhood. Other nearby amenities include Gan’s village-like downtown core lined with boutique shops and restaurants, like local favourites Laverne’s Eatery, Riva and Anthony’s. Within the community, residents will have access to a wealth of lifestyle amenities including an elegant lobby with fireplace, bike, canoe and kayak storage, and a state-of-the-art fitness centre. When entertaining large parties, residents can reserve a stunning entertainment lounge which houses a kitchen, dining room and games room with WiFi throughout. They’ll also have access to a private off-leash dog park, swimming dock and a private marina with boat slips starting from $35,000. 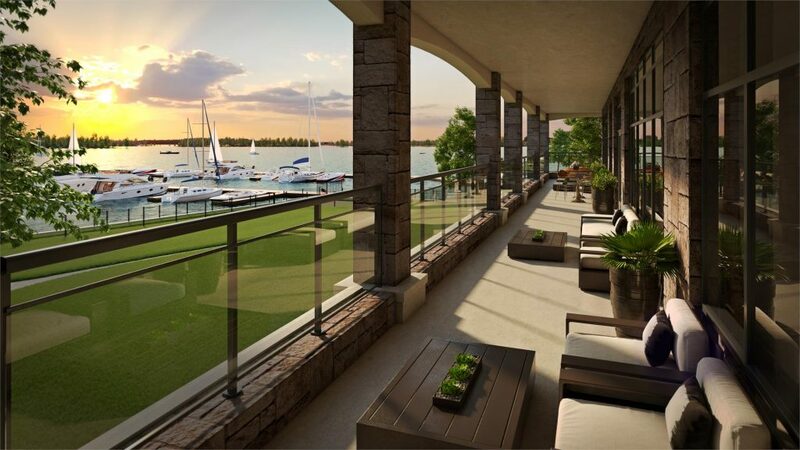 Priced from $488,900, all of the suites come complete with an underground parking spot, a storage locker and beautiful views of the St. Lawrence River and the majestic Thousand Islands. 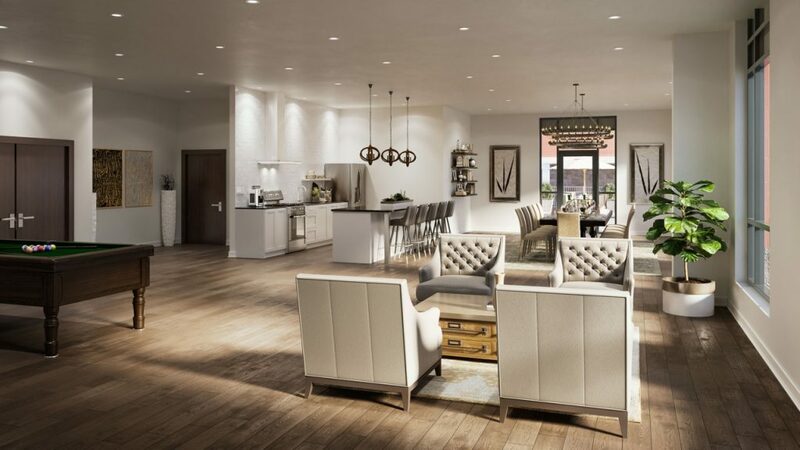 These open-concept, urban-rustic suites are offered in two bedroom, two bedroom plus flex and three bedroom plus flex models up to 1,547 square feet. 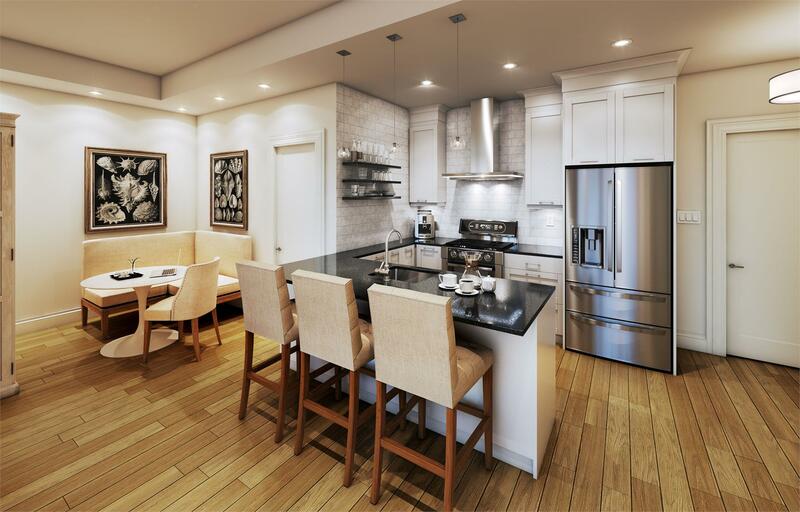 Standard finishes include wide plank engineered hardwood floors, high ceilings and custom-designed kitchens with shaker-style cabinets, and the choice of open shelving or full height uppers. The kitchens also come equipped with granite or quartz countertops and an appliance package with a stainless steel dishwasher, stove, range hood and counter-depth Fisher & Paykel refrigerator. To learn more about Stone & South Condos, visit the Discovery Centre at 5 King Street East in Gananoque. Hours are Tuesday to Friday from 11am to 5pm and weekends from 12pm to 5pm. For more information please call 613-876-2524 or email info@stoneandsouthcondos.ca.